The fashion industry in Nigeria has grown rapidly over the last few years and there are several top notch fashion schools in the country. If you reside on the Island and you are interested in enrolling in any of the top notch fashion schools in this part, you will find this post helpful. 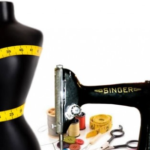 In this post, we have put together a list of the top fashion schools in the Lekki Peninsula and our list is based on the quality of education provided by these schools which include training on every aspect of fashion design from how to design and produce garments to how you should treat your customers. 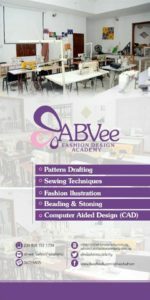 Located in Thomas estate in Lekki, ABVee Fashion Academy is one of the best fashion schools in Lekki offering r fashion design classes to fit every need whether you’re a Secondary School Student preparing to enter University, a Graduate, a Fashion Professional seeking additional training, anxious to start/launch your fashion business/line/collection, or a fashion enthusiast looking to learn more about fashion just for the fun of it. If you reside outside Lagos, ABVee offers hostel accomodation so you don’t have to worry about where you will stay during the course of your training. 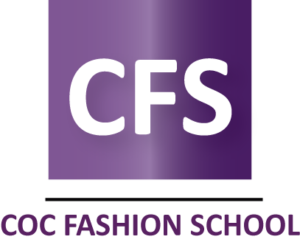 COC Fashion School is the training institute for the brand COLOURS OF C.U.E. It was established after numerous requests from bespoke clients, partners, and stylists. The training provided include fashion illustration, pattern making, tailoring, finishing, merchandising and other employing methods that are a blend of haute couture, high fashion and production technology. The training facility at COC is very exclusive, highly functional and flexible enough to suit every student’s need. . The school ensures that classes are never clustered or too crowded per session as the training is individual-specific. At the conclusion of your programme, COC facilitates in-house exhibitions and fashion shows to enable you launch out your styles and designs and the academy’s media partners provide some form of publicity. 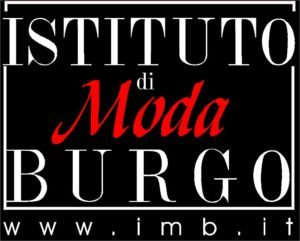 Established in 1961, the internationally reputed Istituto di Moda Burgo is one of the oldest fashion schools in Nigeria. The centre prepares students for high level careers in the fashion industry both within and outside the country. Milan is the fashion centre of the world and IMDB has robust affilations with prominent fashion houses in Milan. This makes the training at IMDB quite exciting because you can alternate your classes between Milan and Lagos. As a matter of fact, there’s an advanced diploma course offered at IMDB which comes with a specialization module which you will undertake in Milan. Also, if you’re a beginner, you can enrol in the basic course which you can complete in either 5 or 10 months. At the end of your course, you can then apply for an internship at any fashion school of your choice. Additionally, IMDB offers a diploma course which has one year duration. Also, they offer a 2 year diploma course. Some of the courses taught include: fashion design, pattern making, dress making and fashion styling. Generally, the classes at IMDB are quite small with an average student to teacher ratio of 10:1. When applying, you can choose to start your classes at any time of the year however there’s a summer break between July and August. During this period, admission is closed. 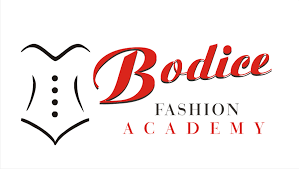 Bodice is a state-of-the-art fashion school that was established to discover and build the skills of students in harnessing their customers’ skills in area of fashion design, bridals settings, makeup and beauty therapy as well as interior decoration. The makeup and beauty therapy segment is designed to show students how to bring clients beauty to live. The academy instills in trainees best practices that are approved by cosmetologists and dermatologists. This fashion academy offers training in designing, pattern cutting sewing and garment fitting. The Interior Décor School has an experienced team of facilitators that teach trainees the art of interior decoration. Zapron School prepare students for luxury careers in design, fashion, bag making, and fashion illustration to enable them face the challenges in the fashion industry. Generally, Zapron uses the United Kingdom (U.K) syllabus and teaching methodology in the delivery of this course. Also, there are various courses that cut across Continental Fashion for student to choose from as area of specialty and flexibility. Also, these courses are designed to fit your training needs and range from one month basic to three months intermediate. Makadel is a creative studio located in the heart of Lekki. It is a 100% Italian designed fashion school that teach students fashion. 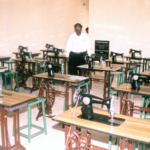 The school has been able to adapt the Moda burgo Italian teaching method and Makadel simplified method plus freehand cutting & sewing techniques. As a student at a Makadel, the training enables you deliver your first outfit within your first week even without prior knowledge. The school teaches fashion illustration, design, pattern making, fashion photography, business of fashion, leather bag making, wig making and sewing to children from 8+, teens, adults, male and female with the aim to promote a healthy attitude towards fashion and individuality. The classes take place during the week as well as on weekends. There are also summer classes for children and teens of all levels. These include exciting half term and summer holiday workshops, fashion trips and shows.